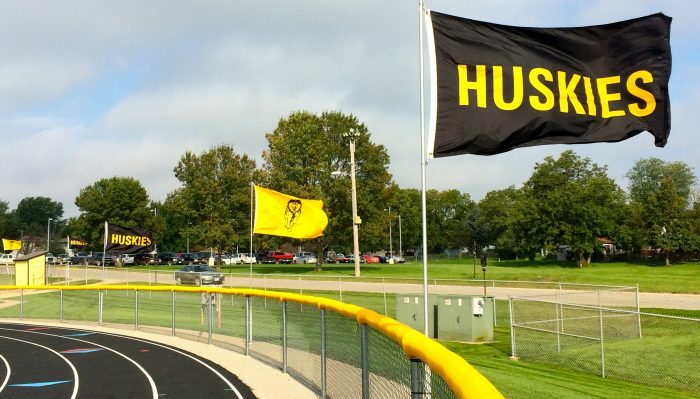 Tonight is the first home football game of the 2016 season against Bondurant-Farrar at 7:30 pm. Go Huskies! You can find the full schedule and lots of other good information on the school website’s new Activities page: http://wintersetcs.rschoolteams.com. 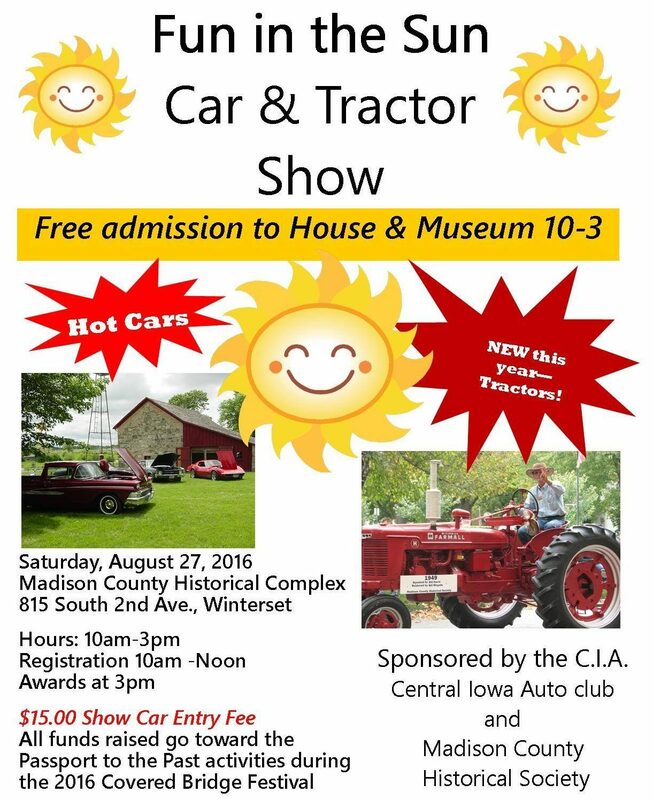 Enjoy the Madison County Farmers’ Market on the Winterset square on Saturday morning from 8:00 to noon, and then check out the Fun in the Sun Car & Tractor Show at the Historical Complex from 10:00 to 3:00. 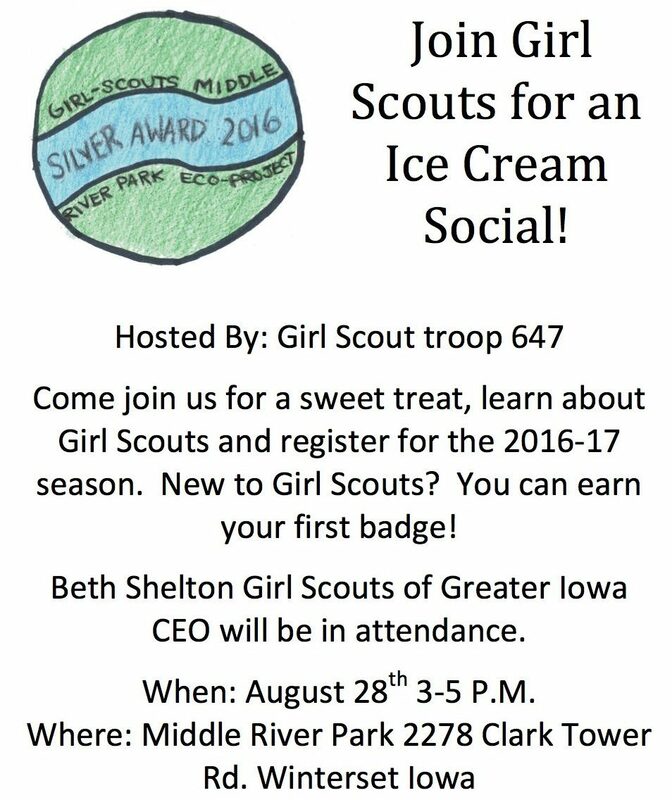 On Saturday afternoon, Winterset Girl Scout Troop 647 is celebrating the work they’ve done at Middle River Park this summer by hosting an Ice Cream Social from 3:00 to 5:00 at the park. Stop by to see what they’ve accomplished and enjoy a cool treat. Congratulations to Covered Bridges Winery on their soft opening in their new tasting room location at 2207 170th Trail, just off of Highway 169 north of Winterset! Beginning Saturday, the 27th from 11:00 am to 5:00 pm, they’ll be open in the new facility at their regular hours. They’re still putting the finishing touches on the construction and look forward to a grand opening in the future. In the meantime, you’ll find them there on the weekends welcoming visitors. Read more and see photos of the construction at www.coveredbridgeswinery.com. 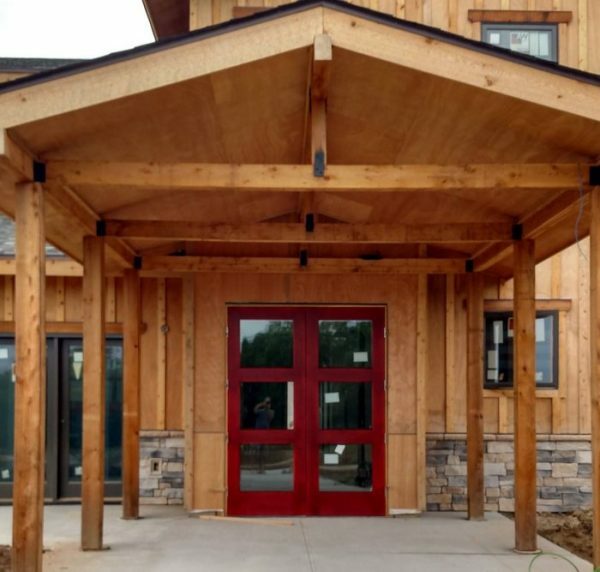 Covered Bridges Winery now open in their new location starting Saturday, the 27th! 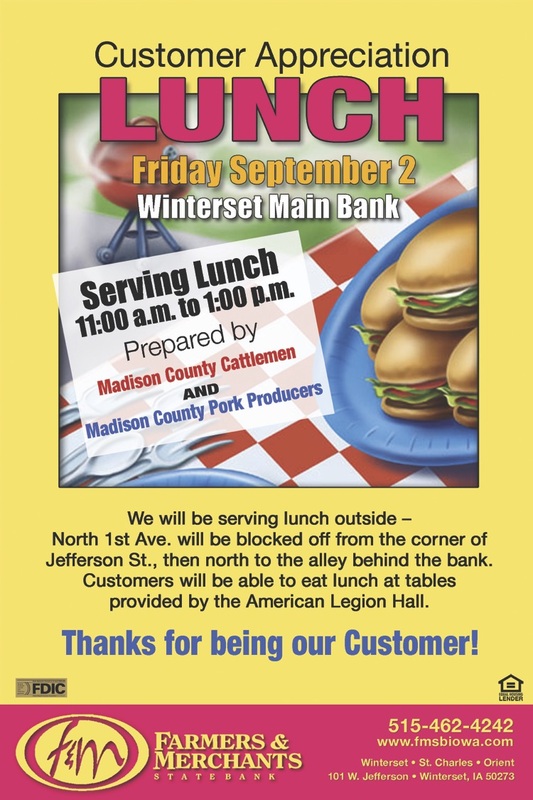 Next Friday, September 2nd, don’t miss Farmers & Merchants State Bank’s annual Customer Appreciation Lunch. This is always a fun and festive outdoor event! Click here to download a printable version of the schedule. In addition to the events above, local RVTV party organizers have lined up a FEAST. Fareway will be giving away FREE steak sandwiches, and Hy-Vee and Rodells will provide additional food concessions. 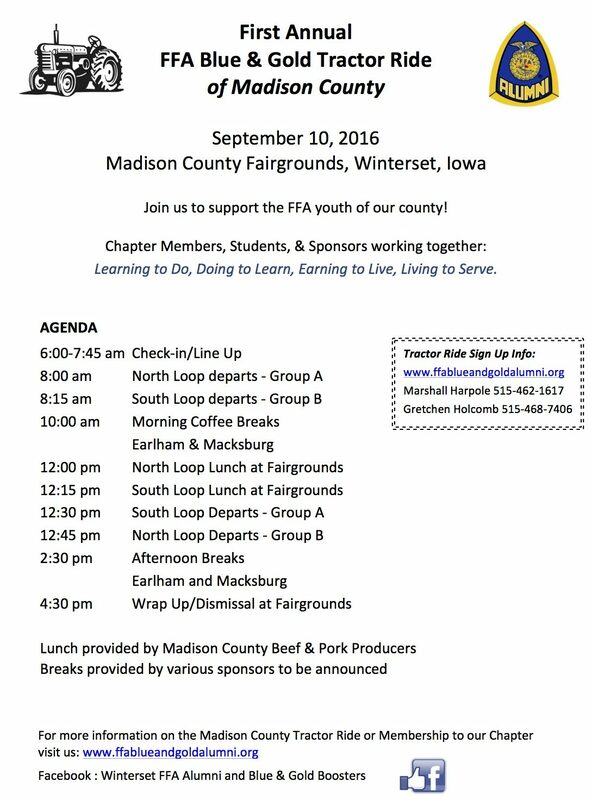 The Madison County Leadership Institute will be providing homemade ice cream, the local boy scout troop will have popcorn tins, the Winterset Band Boosters will have root beer floats, the Chamber will have a lemonade stand, and Farmers & Merchants State Bank will be selling popcorn from 3:00 to 9:00 pm with proceeds going to the Winterset Quarterback Club. The event will be broadcast live at 4:00, 5:00, 6:00 and 10:00 pm that day, and the honorary co-chairs Sam Anker and Loren Gerleman of Winterset have agreed: Based on votes cast by YOU during the festivities, one of them will be receiving a pie in the face on live TV at 10:00. 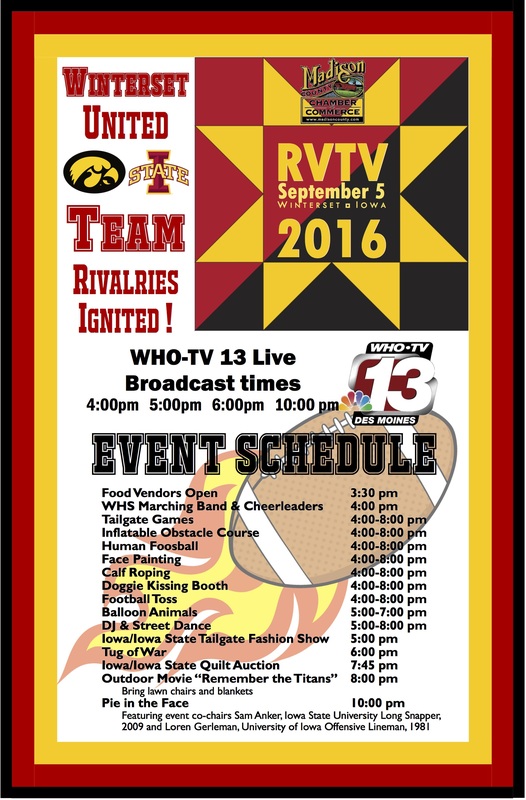 Follow Winterset’s RVTV Launch Party page on Facebook for more details. 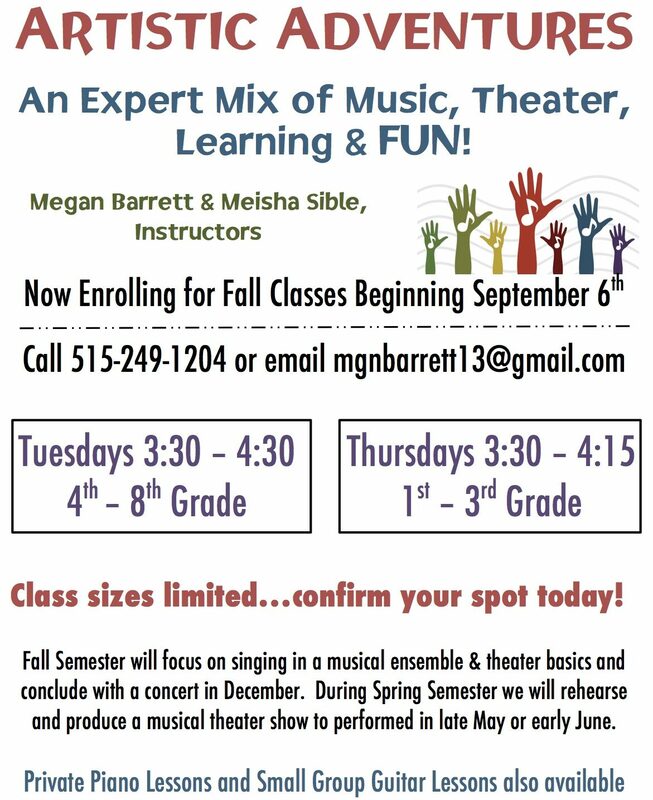 Here’s a new activity for 1st-8th grade students being offered by local music and theater instructors, Megan Barrett and Meisha Sible. 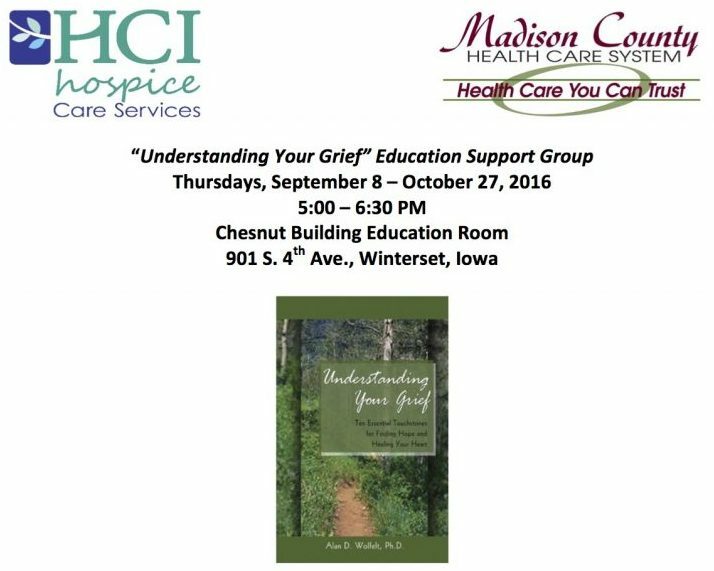 They are enrolling now for classes that begin on September 6th. Click here for a registration form, or visit their website at www.HaveArtisticAdventures.com for more information. 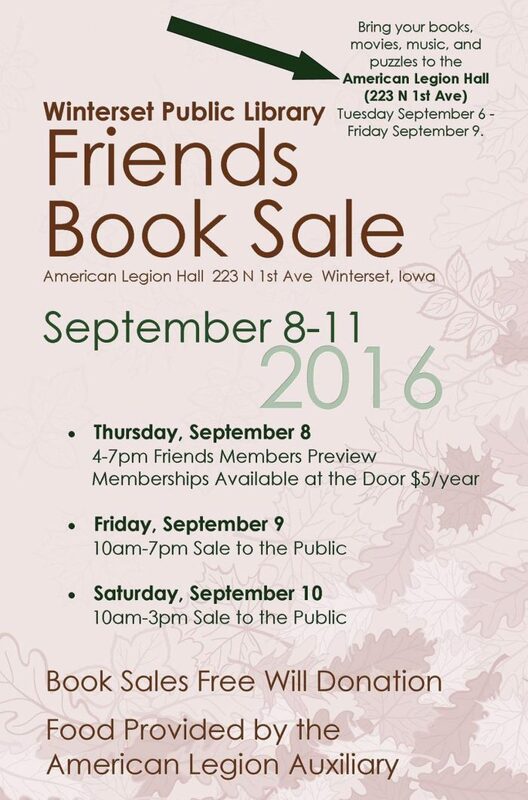 The Friends of the Library Used Book Sale is coming on September 8-10! One of my favorite events of the fall. Here’s an opportunity to support the youth of our county, coming soon! Click here for a registration form (register by August 30th) or here to become a sponsor of the First Annual FFA Blue & Gold Tractor Ride of Madison County. CMR is hosting their annual car show on Saturday, September 10th at their location on 500 E. Mills Street, right behind Shopko. The Madison County Pork Producers will be on site grilling up food, and they’ll have activities for kids and adults as well. This year’s proceeds will be donated to the Madison County Sheriff’s K-9 Fund! Registration starts at 10 am. Click here for a printable version of the CMR Car Show registration form. 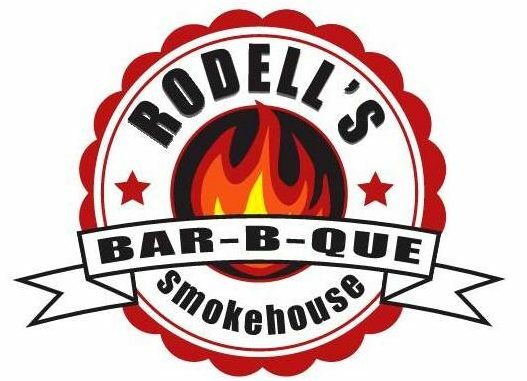 Congratulations to Rodell’s Bar-B-Que Smokehouse on their one-year anniversary! They invite you to come and celebrate on Sunday, September 11th, from 4:00 to 7:00 pm with food and drink specials and live music by Chad Elliot. Bring your lawn chair to 122 S. John Wayne Drive and enjoy some terrific barbecue served from the trailer and a festive event. 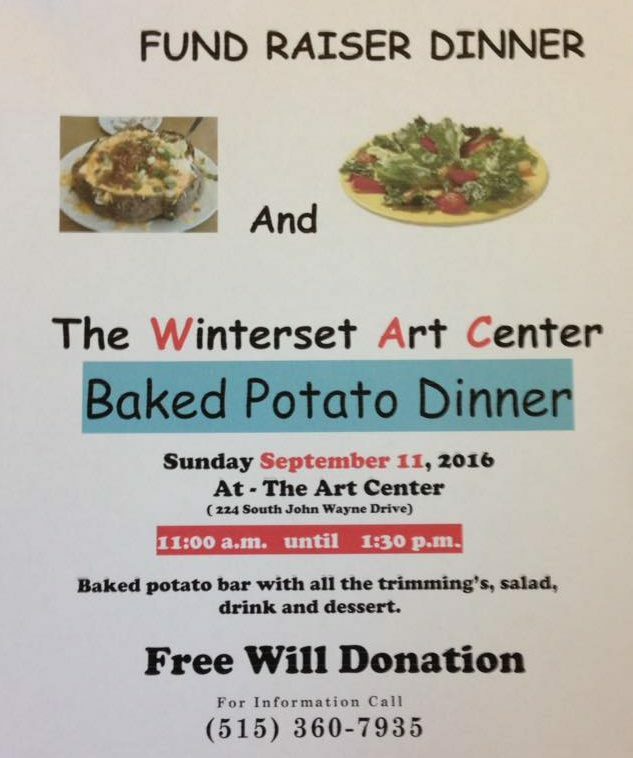 Finally, the Winterset Art Center is hosting their annual fall Baked Potato Dinner Fundraiser on September 11th from 11:00 am to 1:30 pm. If you have potatoes for lunch and Rodell’s barbecue for supper, you won’t have to cook all day on September 11th! 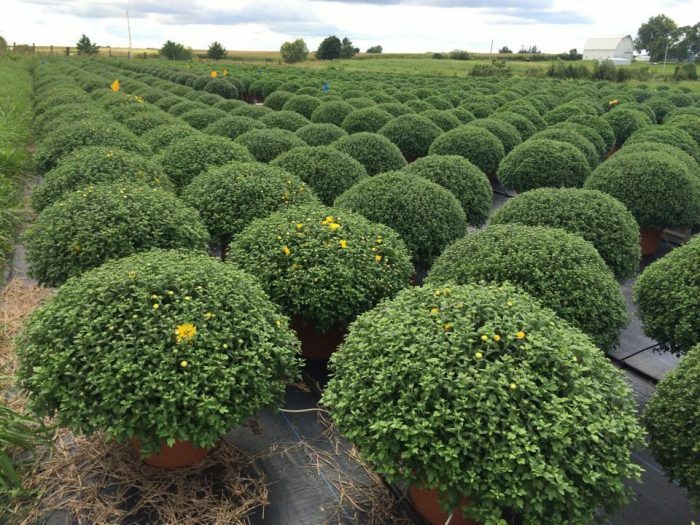 Just one more thing — the fall mums at Groth’s Gardens & Greenhouses are ready to burst! Looks like one of the best crops in years. Same great prices as last year – $15.99 for the 12″ or 3/$45.00, and $8.99 for the 8″ or 3/$25.00. Now open for fall!